Eight Strings & a Whistle, a trio of musicians that has been captivating audiences throughout the Northeast since 1998—making appearances at venues from the Bar Harbor Music Festival to Symphony Space in New York City—will perform an evening concert at the University of Maine at Presque Isle on Tuesday, March 18 at 7 p.m. in Wieden Auditorium. Eight Strings & a Whistle features flutist Suzanne Gilchrest, violist Ina Litera, and cellist Matthew Goeke. A cutting edge presence, Eight Strings & a Whistle is committed to presenting works and expanding the repertoire for the unique combination of flute, viola and cello. The Trio has championed baroque, classical and romantic repertoire and collaborates regularly with living composers—including Douglas Anderson, Dawn Avery, Edmund Cionek, Martin Rokeach and Hilary Tann—premiering and work-shopping their pieces throughout the concert season. During its March 18 concert, the trio is slated to perform Going Up? by Martin Rokeach, …and nothing remains the same. by John Newell, Aloysia Serenade by Peter Jona Korn, French Suite by Scott Brickman,New Ghost Tones by Randall Snyder and Conversations by Robert Davidson. Most of these pieces were composed specifically for Eight Strings & a Whistle. Suzanne Gilchrest, flutist, has performed as a soloist and chamber musician throughout the United States, Germany, Austria, Italy and Switzerland. She won the Artists International Chamber Music Award in 1996 as a member of the Browning-Gilchrest Duo. Her recordings with the Duo, Serenade for flute and guitar, and Duo Chant have received wide critical acclaim and are often played on radio stations throughout the US and Canada. Live radio performances include several appearances on Around New York on WNYC-FM, Morning Pro Musica on WGBH-FM in Boston, and Live at 11 on Maine Public Radio. She is currently a member of the flute and chamber music faculties of the Department of Music and Performing Arts at the Steinhardt School of Culture, Education and Human Development at New York University, the New York Youth Symphony’s Chamber Music Program, and SummerKeys in Lubec, Maine. Violist Ina Litera is an active symphonic and chamber musician performing with the Stamford Symphony, The American Symphony Orchestra, The School of American Ballet Orchestra, The Putnum Chorale, The Long Island Masterworks Orchestra and The Oratorio Society of Queens. As a soloist, she has performed Hindemith’s Trauermusik and Dittersdorf’s Sinfonia Concertante with the Doansburg Ensemble, and Berlioz’s Harold in Italy with the Downtown Symphony. In 1998 Ina performed at the White House with saxophonist David Sanborn. Live radio performances include appearances on Around New York on WNYC, WBAI radio andLive at 11 on Maine Public Radio. Ina has performed and recorded with John Zorn, Butch Morris, Vikki Sue Robinson, Chris Rael, Galt MacDermott and with the bands Church of Betty and Modern English. She is an Adjunct Lecturer at the Borough of Manhattan Community College/CUNY and on faculty at the Third Street Music School Settlement and the Lucy Moses Music School in New York City. Matthew Goeke, cellist, performs as soloist, chamber musician and orchestral player in a broad range of musical styles. Classical recordings include North/South Recordings and 4Tay, Inc. He has also recorded for Opus One Records, Polygram, Elektra, Tzadik and Koch International Classics labels and records with the bands, GIANTfingers and Voltaire, and the experimental instrumental group Another Silent Day. He can be heard on Angelique Kidjo’s 2007 Grammy Award winning album, Djin Djin, and with David Bowie on Time Will Crawl. Matt is also a member of the di.vi.sion Piano Trio. In addition to maintaining an active teaching studio, Matt is an Adjunct Lecturer at the Borough of Manhattan Community College/CUNY, works with the cello sections in Morningside and Turtle Bay Orchestras of the Inter School Orchestras of New York, and coaches chamber music in the New York Youth Symphony’s chamber music program and at New York’s School for Strings. Eight Strings & a Whistle’s recent appearances include performances at the Tenri Cultural Institute in New York City, the La Grua Center and Joyful Noise! Concert Series in Connecticut, New Jersey City University, and Machias Bay Concerts in Maine. The Trio also recently appeared on Manhattan Community Networks as guests on Minding Your Business, hosted by June Middleton. Past performances include appearances at the Leonard Nimoy Thalia at Symphony Space in New York City, the Stern Virtuoso Series at Skidmore College in Saratoga Springs, New York, the Keeler Tavern Museum in Ridgefield, Connecticut, University of Maine at Fort Kent, and the inaugural concert on the Chocolate Church Art Center’s Summer Concert Series in Bath, Maine. In Maine, Eight Strings & a Whistle has also performed at the Bar Harbor Music Festival, L’Association Culturelle et Historique du Mont Carmel in Lille, the Eastport Arts Center and on Maine Public Radio’s live performance series with host Suzanne Nance. 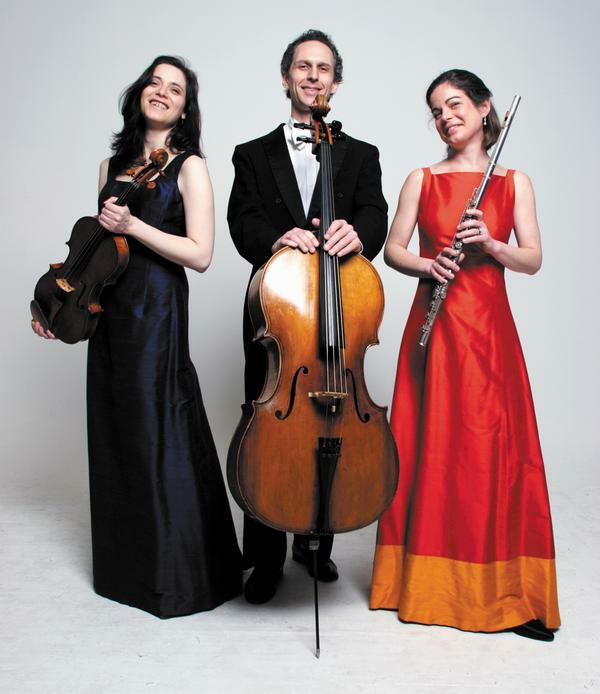 Winner of the Artists International Special Presentation Award, the Trio performed its critically acclaimed New York Debut at Merkin Concert Hall in May, 2003. In 2007 and 2008, the Trio was honored to perform at the Port Authority of New York and New Jersey’s September 11 Memorial in Lower Manhattan. Eight Strings & a Whistle can be heard on TULPE, a recording of music by Sarah Davol and GRAMMY-nominated artist Dawn Avery, released on Okenti Records in January, 2008. The public is invited to attend this free concert. Donations will be accepted at the door to assist with future cultural events performances. For more information about the concert, please call 768-9452 or email info@maine.edu. 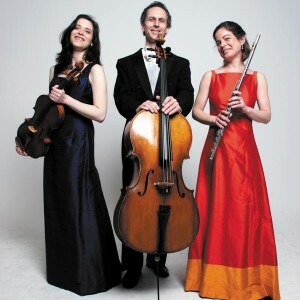 For more information about the trio, please visit www.EightStringsAndAWhistle.com.